The Wynne Liberals “found” the video of Tanya Granic Allen, and told Doug Ford to do something about it. What is wrong with this picture? ….except Tanya Granic Allen, or Michael Harris, or basically anyone who doesn’t agree with the PC backroom cronies that tell Doug what to say and do. This is just more of the PC/Liberal tactics of bringing out “hidden” videos, that they have been archiving, until they are needed in order to further their agenda. It happened to MPP,Jack MacLaren when Patrick Brown caught wind that Jack was tired of being a PC puppet and was joining the Trillium Party. All of a sudden a 5 year old video that the PCs were “protecting”, mysteriously came out of it’s secret folder. Now it’s happened to Tanya Granic Allen. A 4 year old video that the Liberals got hold of, which the PCs took no time in acting upon. Again, Why do the Liberals and NDP have influence over the PC Party? Doug Ford has taken a page directly out of Patrick Brown’s playbook….Say what you have to say to get elected as Leader, and then throw out whoever you consider “garbage”, or a threat, in order to get what you want. It’s the same Circus, just a different Ringmaster! It’s my sincerest wish, that IF Doug ford becomes Premier, that this is not how he will treat the constituents of Ontario. The Trillium Party of Ontario is the Fourth Party at Queen’s Park and is the only proven voice for a real change and true democracy. This is not a slogan, or a catch-phrase. It is a FACT. Take a stand and show ALL political parties in our Province and our Country, that they aren’t the only choice just because they always have been in the past. Show them that you want Something Different, Something Better, and let the Trillium Party bring the freshness of Democracy back to Queen’s Park and Ontario on June 7th. 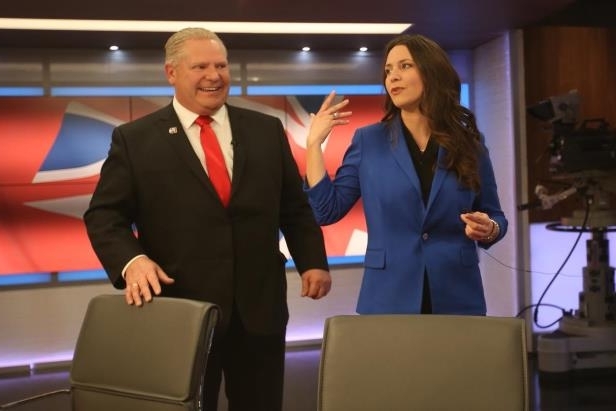 Ontario PC Leader Doug Ford says former party leadership hopeful Tanya Granic Allen will no longer be a candidate for the party. Ford made the announcement in a tweet just before 6 p.m. on Saturday. “We are a party comprised of people with diverse views that if expressed responsibly we would respect. May 7, 2018 / In Uncategorized / By admin / Comments Off on Why in the world would the Liberals and NDP have any influence who Doug Ford has on his ballot?